I feel like I’ve had relatively good luck with cat litter scoops in the past. 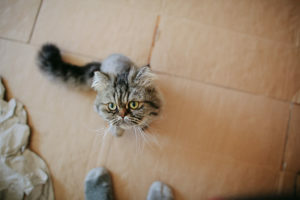 I have had my fair share of absolutely abysmal ones, usually those that come free with the litter boxes I’ve bought, but overall my experience with scoops you buy on their own has been good. To be completely honest, most of my “luck” probably comes down to having asked sales representatives or searched online for most popular options and only going based on those recommendations. 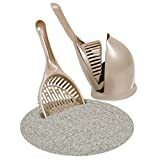 While popular certainly doesn’t always mean better, I feel when it comes to litter scoops – something so practical where aesthetics have very little bearing on what you buy – you typically do get a co-relation between best quality and bang-for-buck value, and most popular. 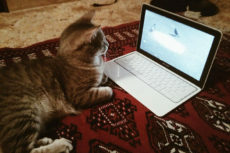 Which is why my search for the best cat litter scoop always has and probably always will start and finish with the bestseller list. Now, it’s not as though any of us are regularly going out and buying litter scoops. Unless they break on you or you can no longer stand the one you’ve got, there’s no reason for a switch. So I can’t say I’ve been out or online litter scoop shopping in a while. 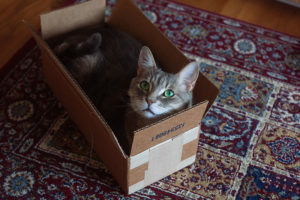 The only scoop I use right now is the one that came free with my Modkat litter box, and I love the thing; it really is perfectly designed for the box, and fits snugly into the corners so I can reach everywhere with ease. And while it’s made completely of plastic, it’s very durable and somehow manages to never have litter stuck onto it. 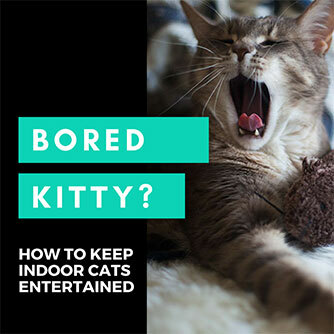 Though that may be down to the Worlds Best Cat Litter I use (which I would highly recommend in case you’ve ever considered switching). If I hated the scooper my box came with, I’m sure replacing it would be high up on my list of things to do. In order of biggest litter box related aggravations to me it’s: a bad litter box that leaves litter all over the floor, a litter mat that doesn’t reduce tracking properly (and yes, some litter mats do a lot better job than others), then finally a litter scoop that I overall can’t stand scooping with. When it comes to personal preference, I really prefer scoops that have anti-stick coatings on them that work. 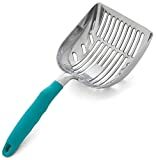 I like the idea of metal, plastic covered scoops, but I do think I slightly prefer plastic scoops that are very durable since they’re typically lighter. I also prefer scoops that are deeper, or rounded at the bottom, rather than flat – so it’s harder to drop clumped litter back into the box. I also think I prefer holes or scoops with at least a couple rows of shorter “lined” holes that go down them, rather than ones that are one single long row of thin lines. 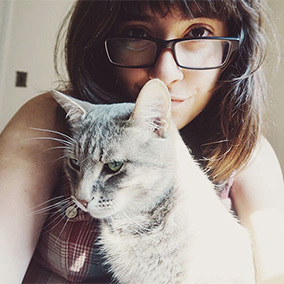 Why I can’t really explain – maybe because they make it easier to pick up little bits? Either way, that’s my typical preference. Let me know your preferences in the comments down below – and if you think you’ve found the perfect litter scoop, please don’t hesitate to recommend it to the rest of us! Now let’s get into the popular options I found – starting with scoops that are end-to-end metal, then ones that are full plastic. 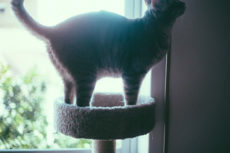 Next, I have a second in case you’re into scoops that come with caddies/scoop holders, and finally, for those who find it difficult to bend down or want something more heavy-duty to deal with many litter boxes, long litter scoops you can use standing up. An end-to-end aluminum extra large litter scoop with an extremely comfortable looking rubber coated handle. The scoop itself is un-coated, mirror polished aluminum that’s marketed as being corrosion resistant and rust proof. Certainly one of the most popular cat litter scoops available. Currently has over 5000 reviews on Amazon, 88% of which are (at the moment of publishing) a full 5-stars, with an 4.8 stars – crazy high as most very good products usually hover around the 4-4.5 stars mark. Firmly in spot #2 in the popularity contest is this iPrimio XL litter scooper, though if you’re looking at brands rather than simply individual products, iPrimio litter scoopers may just have the lead. This particular one is a soild cast aluminum non-stick plated scooper. 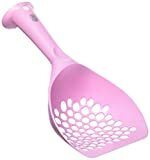 The plastic, ergonomic grip handle is designed to keep shaking at a minimum, and the scoop portion itself is wide at the front so as to make cleaning deep corners easier. 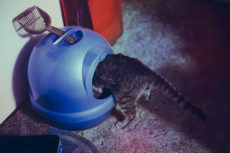 Comes with a little holder in case you’d like to hang your scooper by the litter box, which is pretty handy. I do believe this is the grey coloured version of the product above, but I wasn’t 100% sure, so I thought I would stick the two side by side. In case someone sees a difference between the two products – do let me know! A 100% stainless steel scooper with no plastic handles or coating. If you’re looking for a fully metal product, this is where it’s at. 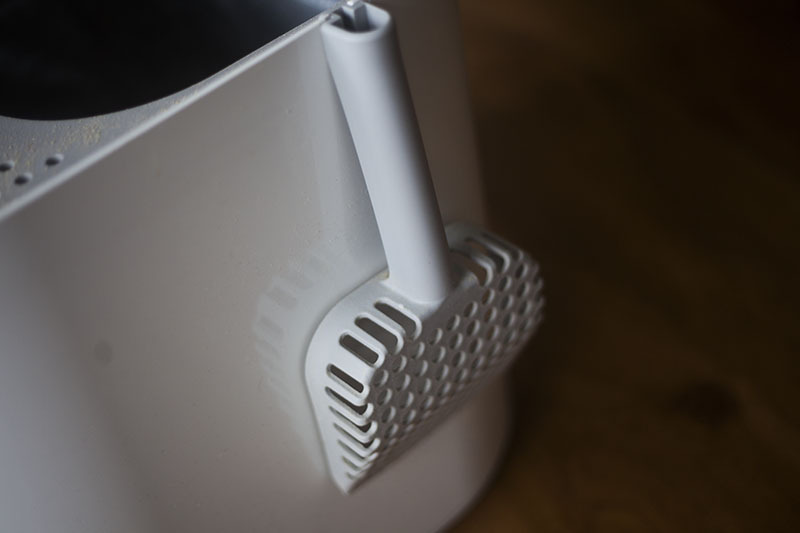 The handle is supposedly quite comfortable and ergonomically built for one made completely of stainless steel. Durable, and easy to clean with soap and water. While I’m personally not a fan of shallow litter scoop designs, I obviously may not have tried the right ones. 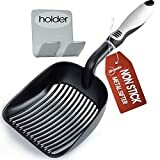 With over 700 reviews on Amazon, and what’s currently a 4.7 star rating, it’s hard to deny this litter scoop is likely very different from the flat scoopers I’ve used in the past. Apparently it’s very durable, needs a little shaking back and forth to sift through the litter, but not all that much, and works well even for heavy messes. 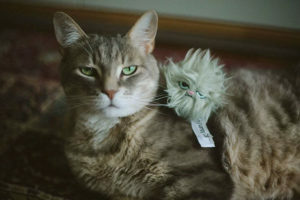 Some reviewers say it’s particularly good at making sure clumps don’t break apart when they’re taken out, which is particularly handy if you have a litter anything like mine. 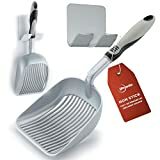 In case you like the iPrimio design, but not the fact that the scooper is made out of metal, they’ve made one that’s got a durable plastic sifter shovel as well. 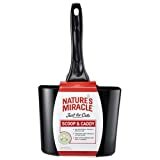 If I were to buy a litter scoop, I think this would be it for me, since as I’ve said, I do prefer durable plastic to metal scoops. Deep shovel, excellent for rounded corners, and does seem to deliver very well on the sturdiness promise, which is excellent. Sort of a hybrid between a small and a large handle litter scoop. They advertise it as being good in case you don’t want to bend down to scoop litter again, but I don’t personally think it’s quite tall enough for that. Maybe less bending, but there are much longer litter scoops if no bending whatsoever is what you’re after. Nonetheless, looks like it has a very nice shape to it that would make getting litter out of corners very easy to do. Sometimes the handles do break, so if you’re looking for a very durable option because of heavy litter, this may not be it. 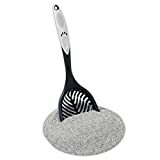 I think this super-cute Catit kitty litter scoop would probably be my personal second choice after the iPrimio Plastic Deep Shovel Litter Scoop from spot #3. Not because it’s adorable (okay, maybe a little, though I think I’d get it in the blue), but because it’s one of the only options that has circular holes instead of line-like holes, and I feel like I prefer that. I may be wrong, however, as I haven’t tried out an enormous number of litter scoops (3-5 I think at most). 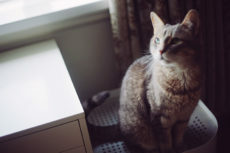 But my current scoop – the one that came with my Modkat litter box – has circles, and on it, I love this feature to bits. If you’re looking for an extremely highly rated scoop that comes with not just a hanger, but an actual caddie holder, this is potentially your best bet. 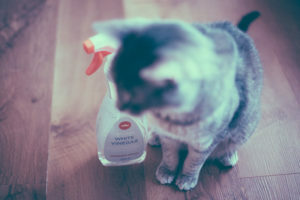 Some reviewers have complained that it’s not particularly good when it comes to non-stick, however, so if you have the type of litter that leaves sticky bits, this may not be a good option. 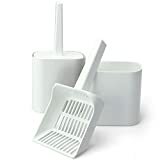 Many who have bought this product have loved the caddie, but hated the scoop, and thus ended up switching to a better scoop, but continuing to use the “Hide” portion of this product. Created to match the ever-so-popular Petmate Booda Litter Dome, so if you have one of those and were looking for a scoop set to match, this is it. I don’t think I’ve ever seen a litter scoop and caddie that’s looked quite so sleek and modern as this. I honestly believe it looks better than most human toilet brush sets. I’ve seen a few people complain about the pricing (which is a little steep) and say that it’s not very durable, but there are currently many more 4 and 5 star reviews from individuals very happy with the product than simply reading these few would suggest. Purrr-FECT Scoop 35in Tall, Standing Litter Scoop, Long Handle Litter Scoop is The Perfect Scoop for Cats and Chicken Coops, Made in The USA ! A very long-handled litter scooper for those who have a lot more than one box to do, who can’t easily bend down, or maybe even would simply prefer to use the same scooper for their cats and the presents their dog(s) leave in the backyard. Seems to be an incredibly solid and well-made product, and the producers brag that it’s been stress-tested for years and is nearly impossible to break. Can lift up to 20 pounds according to the specs – pretty impressive! A well-designed product that seems to need a few tweaks to make it really wonderful. 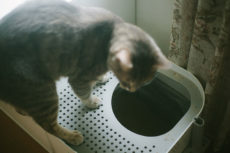 The scoop portion itself is often complained about being a little too small, it’s very difficult to get into corners of litter boxes with it’s shape being what it is, it can be a little uncomfortable to use, but all in all – it does it’s job and is actually very durable; certainly a good tool to have if you’re cleaning a lot of litter boxes regularly and don’t want to bend down. Yet another viable option for those looking for long-handled, no-bend litter scoopers. This one definitely seems to look like it’s more useful and more comfortable than the second option, though there were a few complaints that it was a bit flimsy and bends, the handle is too long, and the slots too big for scooping litter out of boxes. 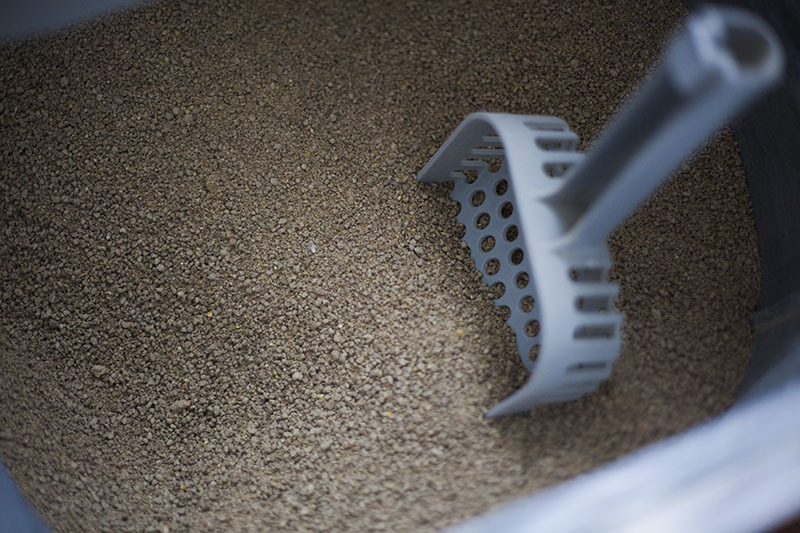 What Do You Prefer in a Cat Litter Scoop? 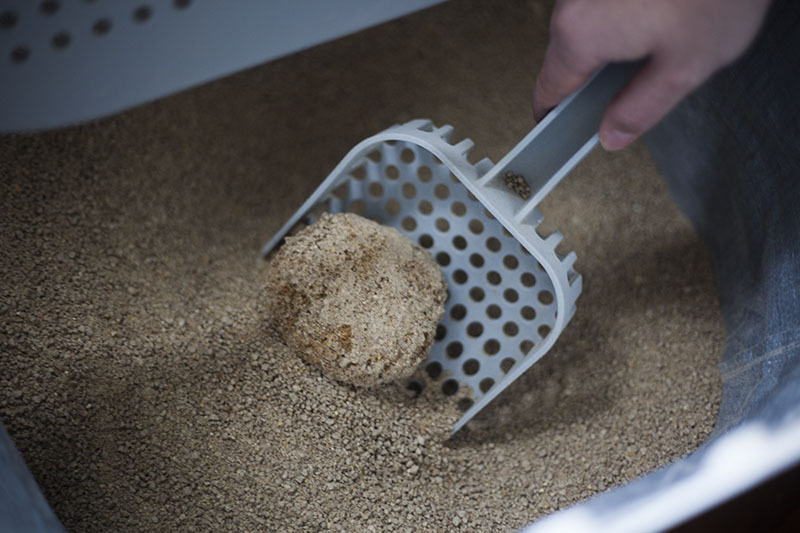 What are your preferences when it comes to cat litter scoops? Do you like ones that are flat, that have long, straight rows of holes or circular holes like mine has? Any other preferences you have? Have you tried a few different varieties (metal, plastic, long, short)? Which types did you love, which did you hate? Do you like the idea of having a caddie for your litter scoop? 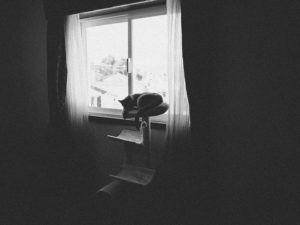 Where do you keep your cat scoop? What are you currently using? Do you love it/like it/hate it? Are there any scoops you would recommend buying. Any you’d recommend staying away from? My favourite litter scoop is the Litter Lifter! The plastic is so smooth, the litter just sifts through, and the clumps slide off nicely. 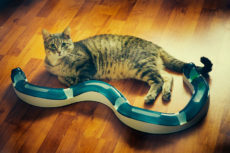 I’ve even gifted Litter Lifters to friends who’ve gotten new cats! LOL! 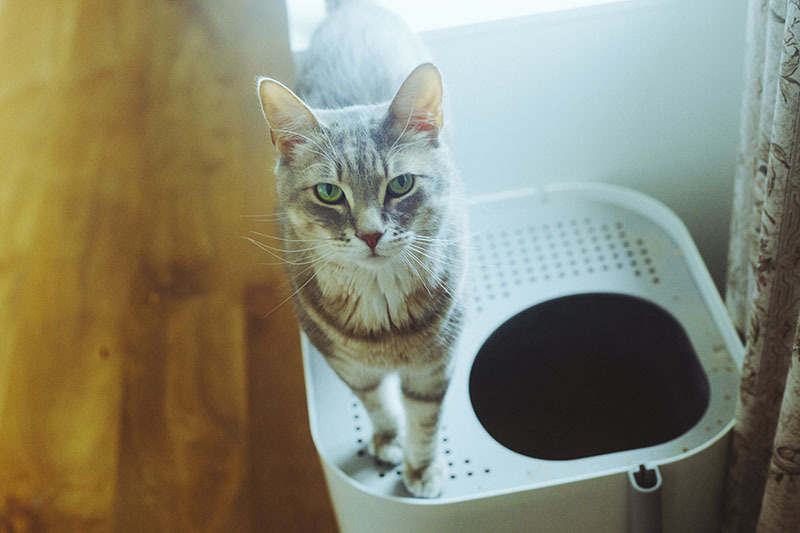 Thanks for the advice on the Catit litter scoop & for pointing out the one that looks closest to yours! I will definitely try out something similar to the Maison La Queue if I ever need a separate litter scoop since we have similar tastes!